Before you choose a career or start a job search, you should know which careers match your personality. Picking the right job increases your chances of future job satisfaction and career success. Taking an interest assessment can help you understand which careers might be the best fit for you. 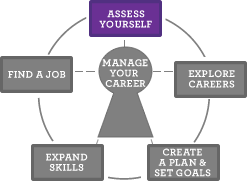 An interest assessment will give you a broad list of career options that match your interests. The Match Your Interests to Occupations (pdf) exercise is a short interest assessment. Fill in the circles next to the activities that you like to do. Then, add the columns at the bottom of the exercise. Write down the number of filled circles for each letter. The letters with the most circles are your interest code. Most people have a 2-3 letter interest code, also called a Holland Code. Each letter matches an interest group. R = Realistic people are DOERS. They are often good at mechanical or athletic jobs. They like to work with things like machines, tools or plants and they like to work with their hands. They are often practical and good at solving problems. I = Investigative people are THINKERS. They like to watch, learn, and solve problems. They often like to work by themselves, tend to be good at math and science, and enjoy analyzing data. A = Artistic people are CREATORS. They like to use their creativity and come up with new ideas. They usually want to work with less rules or structure. They enjoy performing (theater or music) and visual arts. S = Social people are HELPERS. They like to work directly with people rather than things. They enjoy teaching, counseling, or curing others. They are often good public speakers with helpful, kind personalities. E = Enterprising people are PERSUADERS. They like to work with other people. They often like to influence, persuade or perform for people. They like to lead. They tend to be assertive and enthusiastic. C = Conventional people are ORGANIZERS. They are very detail oriented and like to work with data. They are often organized and good with numbers. They are also good at following instructions. They also like working in structured situations. Finally, look for occupations that match your interests. Write down those occupations on Match Your Interests to Occupations (pdf). 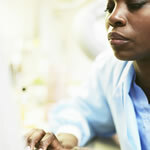 Explore Careers that match your interests. Make a Career Plan that includes your interests.